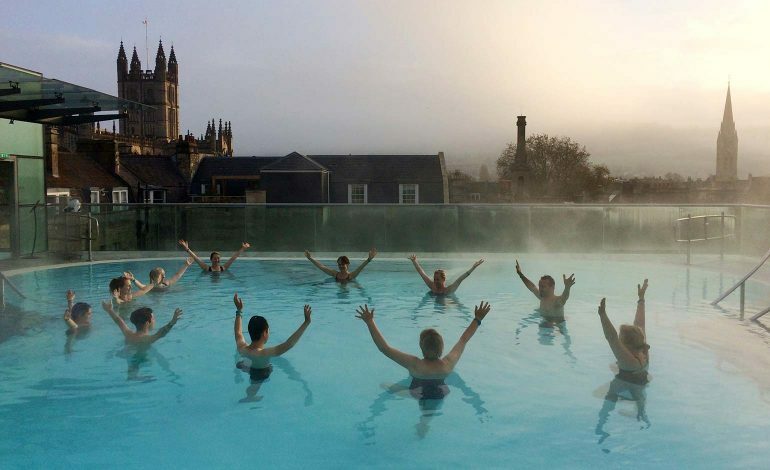 From 1st-10th February, the Thermae Bath Spa will be putting a spring back into guest’s step with a series of events focussed on wellness, as part of the Feel-Good February city-wide programme. The initiative forms part of Feel-Good Bath, a city-wide campaign spearheaded by Visit Bath to encourage visitors and locals alike to focus on their wellbeing and health. The programme is open for anyone who has an interest in wellness, both physical and mental and includes activities to get guests moving in the natural thermal waters, and to hear from specialists on topics such as the power of sleep and self-kindness. Aquasana is an invigorating fitness session that combines yoga poses, Tai Chi and strengthening moves to tone and stretch the body. Early birds to the Spa can start their session with a complimentary class, taking in the sights of the city from the rooftop pool. Dr Neil Stanley is one of the country’s leading experts in sleep. His most recent book, entitled ‘How to Sleep Well’ explores the science of sleeping smarter and living better. During the seminar, discover more on the importance of rest, and how to get your best night’s sleep. Guests can soak up the atmosphere and relax in the Minerva Bath while listening to the uplifting sounds of the Gaulois Brothers. In a world where it seems there is an ever-increasing focus on self(ies) and comparison through social media what does it mean to focus on number 1? This is an evening of conscious self-kindness and mindful self-compassion and of learning how it can support you in living a happier, healthier and more courageous life. Take some time out of your day to relax; guests are welcome to have a sensory consultation with an Aromatherapy Associates expert followed by an express hand & arm massage using their chosen oil. For the full programme of events during Feel-Good February and to find out how to book your place, visit the Thermae Bath Spa website.